At That Fish Place, we get questions from hobbyists at all levels of involvement: from those looking to try their hand at keeping a few freshwater tropicals to someone ready to install a 2000 gallon reef system in their living room. This post is geared toward those starter hobbyists looking for reliability, ease and convenience in maintaining their first aquarium: while keeping costs to a minimum. 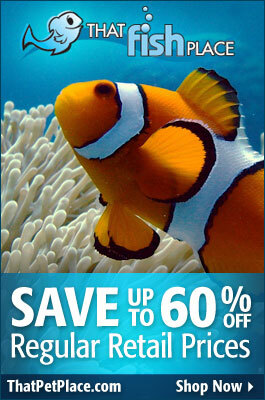 I’d like to focus on the “ol’ reliable” of aquarium filtration: the Power Filter. First, let me say that though everyone wants a “quick fix” when it comes to aquarium filtration, there really is no filter that can take the place of regular water changes. Regardless of the system you choose, regular water changes will always be required to keep your aquarium in ideal condition. Three of the most popular aquarium power filters, and certainly ones with staying power and longevity on the market, are the Tetra Whisper, Marineland Emperor and Penguin and Hagen AquaClear power filter models. All have been around for years and each are about as simple and straightforward as it comes in maintenance and operation. Whisper power filters are designed with only a single moving impeller to draw aquarium water into the filter, where it then flows back into the aquarium through the filtration media. In this case, a simple-to-use and replace cartridge uses activated carbon and floss material to provide chemical and mechanical filtration, while an additional bio-sponge maintains biological activity. With only one moving part, they’re easy to maintain and repair and are renowned for their ease of use. As the name suggests, these filters are also very quiet. The only drawback is they really don’t offer many choices for additional filter media. Depending on your aquarium’s conditions, you may want to add extra media to take out ammonia or phosphate, and Whisper models don’t really allow for much customization. Penguin and Emperor Bio-Wheel Power Filters are well-known for their patented Bio-Wheel design. This rotating wheel provides beneficial bacteria access to the atmosphere, which has much more available oxygen than your aquarium water. The bio-wheel system on the Penguin and Emperor filters allows for far more efficient biological filtration ability than a standard power filter. 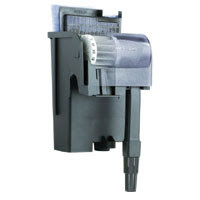 Chemical and mechanical filtration is provided with a cartridge, just like the Whisper model. 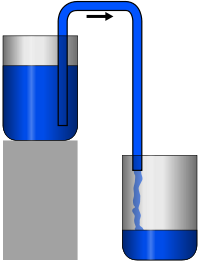 Water flows through a single-impeller pump drawn through an intake tube. The Bio-Wheel and impeller parts are easy to find and replace. The Bio-Wheel design does add some extra water flow noise, but nothing that is too noticeable. Like the Whisper model, the penguin filter does not offer additional space for chemical filter media. The Emperor models offer an additional cartridge space that allows you to add your own choice of chemical media to the filter. Hagen’s AquaClear Power Filters are also a popular option. Each one uses the single impeller motor design typical of power filters. The biggest difference is that these units also have a filter media area, allowing for more customized filtration options. Various medias are available in premeasured packets from Hagen, or you can add your own using a filter media bag. 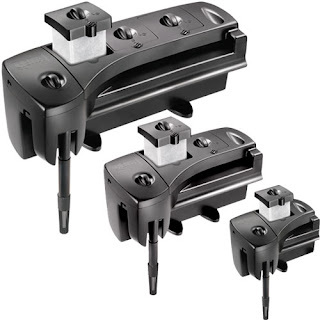 The lack of an easy-to-change cartridge makes these models not quite as simple as the others, but the premeasured media packets and increased versatility make up for that. 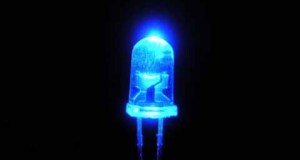 There are also a few new options on the power filter market. While not as proven or tested as the established stand-bys, some of these offer unique features worth taking a look at. The new Aqueon Power Filter offers a larger biological grid as well as a motor that actually sits below water level inside the tank: eliminating priming and noise. The Biosystem Power Filter uses a typical cartridge type filter system, as well as a cool intake tube that actually acts as a surface skimmer to take away build-up on the surface of the water in your tank. The new Rena SmartFilter Power Filter is one of the more innovative filters to come out in this market segment. 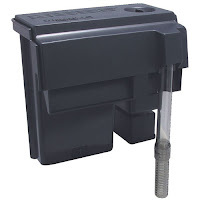 The SmartFilter offers an easy-to-install cartridge design and bio chamber, and has many different cartridges available to customize your filtration options. The smartfilter also has an available integrated SmartHeater systems that actually doubles as the intake tube for that filter, thus eliminating the need for a separate heater in your aquarium, aquarium viewers will never know its there. I just assembled my first 50 gallon fresh water aquarium and I bought a under gravel filter and an external power filter to clean to keep the water clean. Question: Do I have to turn on those filters 24-hrs a day? Yes, your filtration should run 24 hours a day, 7 days per week. They need to run to supply the bacteria growing inside of them with oxygenated water. If the power is shutoff for an extended period of time then they will “foul” and you will loose your bacteria, and create a dangerous situation for when the filters are turned back on. Great blog on aquarium care David. I know I’ve used the Hagen filters mostly. Had tried a Whisper aquarium filter before too but mostly all my aquariums have Hagen filters on them. Out of all the aquarium filters mentioned here in your opinion which one do you think is the best? What, in your opinion, is the best type and brand of filter to have in a 135 gallon tank of cichlids? That is a tough question to answer, personally I would use multiple filters on a tank that big, so that you have maximum flexibility in your choice of media. 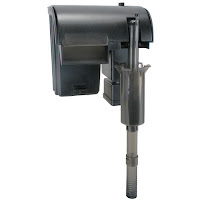 Two canister filters that are rated in the 100 gallon range: fluval 405, Marineland C-360, Filstar xp-3. If you want to spend a little less money you could go with a single large canister, but you lose some flexibility with the single filter, and the security of having a backup running if something happens to one of the filters if running multiples. What kind of filter should I use to keep freshwater mussels? They crawl around the bottom through the mud, and I’m afraid an over-the-side filter will stir up the mud too much. Hi Katherine, Mussels filter water as a biological process, but they do need adequate water movement in addition to filtration. Depending on the size of the tank you have, a hang on style should not stir up the substrate too much as long as you do not have one that is too large for the tank, as you can adjust the flow rate on most models. A canister filter may work better as the return may be placed as a spray bar which can also spread the flow out along the surface of the water so it is not a strong blast of water. Mud bottoms are bound to be disturbed and the tank may be impossible to keep clear, the sediments are simply too fine. You may want to consider sand as a substrate or a heavier medium to layer over the mud to help the clarity. Let me know if you need more information! I’m a first timer going to a 55 gallon tank, although I have had smaller tanks over the years. I’m running a single Bio-Wheel 350 filter on the 55 gallon tank. Will that provide enough Oxygen and circulate the water enough for my tank? The Bio Wheel 350 should be adequate filtration for the 55 gallon. Same with the oxygenation and circulation, though a bubbler or airstone can be added if you prefer more or if you keep fish like goldfish that tend to need better circulation. what’s the best way to replace a power filter in a mature tank? My Penguin failed and I need to replace and cycle the tank with the full bio-load in place. There will be a lot of established bacteria in the aquarium itself that will help to seed the new filtration. 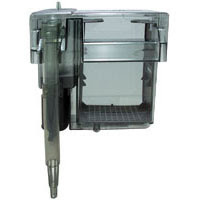 Try to salvage any biological pieces, bio-wheel, or cartridges from the old filter, you may be able to fit them into the new filter with the new cartridges for a week or two to help the seeding process too, in any event the cycle you encounter should be pretty mild if the tank itself was not disturbed or left too long without filtration. Let us know if you have any other questions, and good luck! Hi, I have recently purchased a Classic Whisper Power Filter 60, and while it is supposed to be quiet, it is quite loud, in fact. I’ve cleaned it and the impeller, but nothing seems to help. There is a lot of vibration. On the same tank I have an older TetraTec PF300 which is virtually silent – I’d get another, but I don’t see them for sale any more. Question is, if I want to get the quietest filter, which one should I get? The reason I got the Classic Whisper PF 60 was BECAUSE it was supposed to be quiet. Hey Scott C. If you’re still out there and looking, I have a brand new Tetratec PF300 and Tetratec HC200 still in boxes for sale.